So much for the perception that instant communication is primarily a young person’s concern. Sure, the teens and millennials may be inseparable from their latest devices, but they’re not the only ones insisting on being wired for the moment. 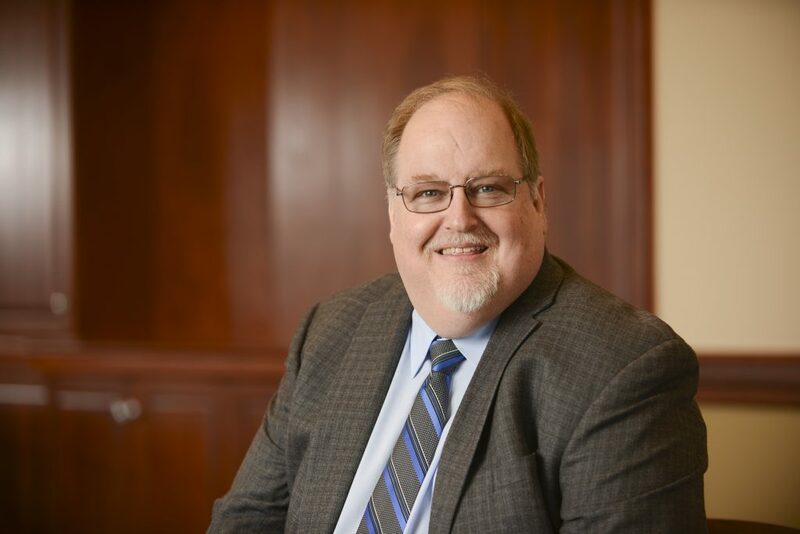 Just ask Robert Buckingham, the senior director of information systems at Presbyterian SeniorCare Network, whose responsibilities far transcend electronic health records, data security and the remote monitoring of a patient’s well-being. For there’s a new breed of older folks either moving into one of the Presbyterian SeniorCare Network’s nationally accredited and award-winning senior living facilities in western Pennsylvania, or seeking its in-house services. It’s Buckingham’s responsibility to tend to their wants and needs as much as he does to those of the administration and staffers. Headquartered in the Pittsburgh suburb of Oakmont, and with a growing number of affiliates in the Keystone State, the Presbyterian SeniorCare Network motto is “making aging easier.” A few years ago, the leadership realized they needed a significant tech upgrade on multiple fronts to do as promised. A self-described IT lifer then in charge of info-tech infrastructure and security for Millennium Pharmacy Systems in the nearby township of Cranberry, Buckingham was looking for a new challenge. Being well-versed in applying his high-tech expertise to health care, he seemed an ideal fit for the Presbyterian role. Not with the Presbyterian SeniorCare Network umbrella ever-widening. Since his arrival in October 2015, four more senior-care facilities have come under the organization’s ownership. All of their networks and Wi-Fi have been duly upgraded under the supervision of Buckingham and his lean, but capable, team of one director, three managers, five support engineers, two informaticists, with assistance from tech-savvy nurses and other staff. A long-time Presbyterian partner, MatrixCare continues with further upgrades for electronic health records (EHR). That company’s full-spectrum solutions are depended upon by more than 13,000 facility-based care settings nationwide, as well as another 2,500 home care and hospice organizations. The Presbyterian SeniorCare Network-MatrixCare partnership will only grow stronger under Buckingham, who lauds the company’s acumen in operations management, particularly in addressing the needs of older populations with rising levels of acuity. And as each patient’s record can be a cyberthief’s gold mine, the means for data security have been enhanced by Pittsburgh-based synergIT, whose engineers can design and configure the firewalls and other virtual alarms so necessary for any health care provider. As for the Presbyterian SeniorCare Network home-based patients, their families can take comfort in the caregiver’s Remote Care Center Services that monitor for such concerns as falls, changes in someone’s vital signs and medication adherence around the clock and every day. “If you or your loved one has high blood pressure, congestive health failure or diabetes, you know how important it is to monitor vital signs daily,” Buckingham assures. Buckingham will keep that system ticking, as well. There’s a particular satisfaction one gets from mixing IT and health care, he says, although his way into it was rather circuitous. The son of a chemist, Buckingham had access to a computer at a young age. Primitive as it might have been, he remembers that computer as being very cutting-age to an 8-year-old nearly a half-century ago. The technology interest was sustained, but when he got to Washington & Jefferson College, he had to settle for being an economics and business major as there was no computer science major. Still, he worked with the college’s tech system so ably that one time he was asked—and agreed—to forfeit a spring break just to keep the system going. Such dedication made him a most marketable post-grad, with Buckingham holding down many responsible positions at tech firms and even running his own consulting company in the run-up to joining Presbyterian. Since then, he’s enhanced his tech creds, obtaining his CISSP and HCISPP and working on a Master’s in information systems management from Robert Morris University. He figures he’ll have enough to do at Presbyterian SeniorCare Network to keep him from looking for new challenges. The security aspect of IT may always be a moving target, with hackers and folks like him in a virtual arms race, he reminds. Telemedicine also figures to be a matter that will command his attention. “What we do affects the residents as well as their families,” he says. And there are always personal reminders of what’s at stake. Buckingham’s dad, the retired chemist, is in his 80s and while still living at home, speculates that the day may come when he may want to opt for assisted living. While the elder Buckingham isn’t in proximity to a Presbyterian SeniorCare Network facility, his sentiments are often expressed by senior citizens in that part of Pennsylvania. Just another reminder for the younger Buckingham that he’d better be mindful of the wants and needs of a more discerning—as in wired—clientele who won’t settle for just land lines. And neither should they, he’s quick to say.